School Holiday is approaching soon. 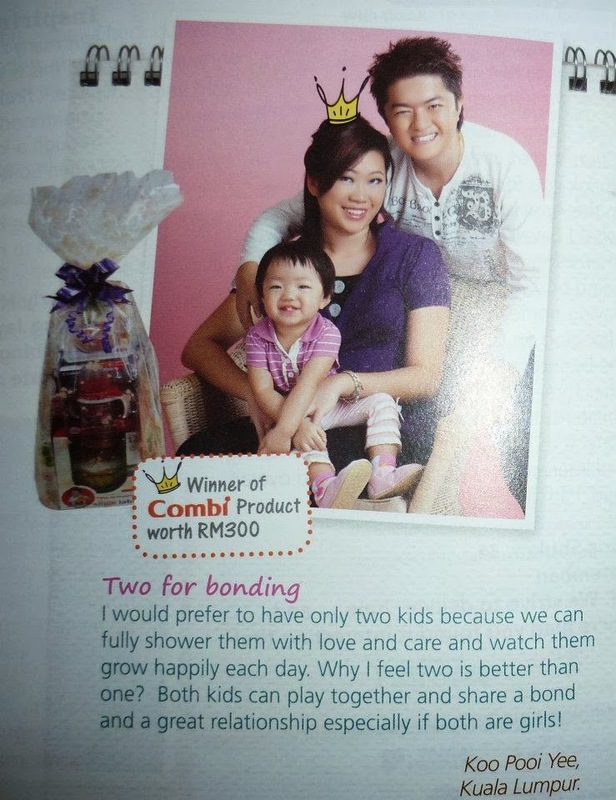 Have you planned your family gateway with your kids? 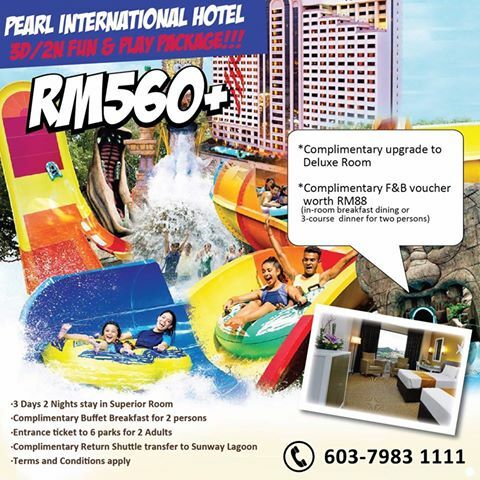 Pearl International Hotel Kuala Lumpur is having a 'Fun & Play' package at RM560+ with a complimentary upgrade to a Deluxe Room as well as the RM88 F&B voucher (in-room breakfast or 3-course dinner for 2 persons). 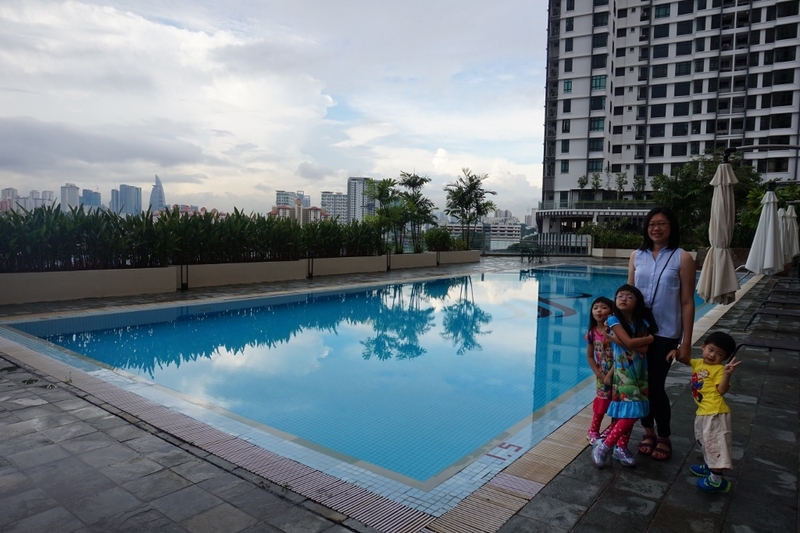 This package is really suitable for my family with small kids at nearby KL city center and most important a short holiday to relax ourselves and also family bonding time together. 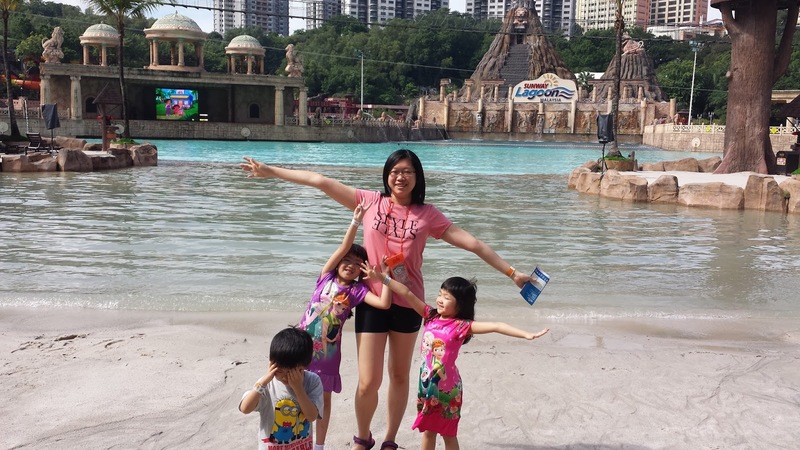 Sometimes it's really hard to plan an oversea travels for them , thus this staycation is a fun travel moment to bring them along to enjoy the hotel facilities and a memorable holiday gateway. 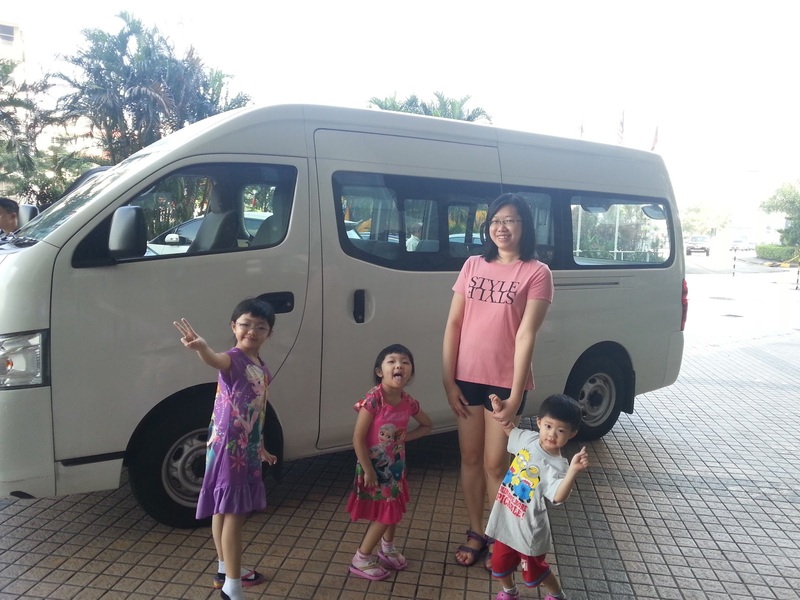 We check in at night on 10 Nov 2016, park our car inside Pearl Point Shopping Mall that are attached with the Pearl International Hotel. Just take the lift up to Ground Floor and locate the main entrance next to it. We are greeted with welcome by the staff at the lobby and they prepare the check in for us. Fast check in and they explained about the meal provided that are written well in the meal card. 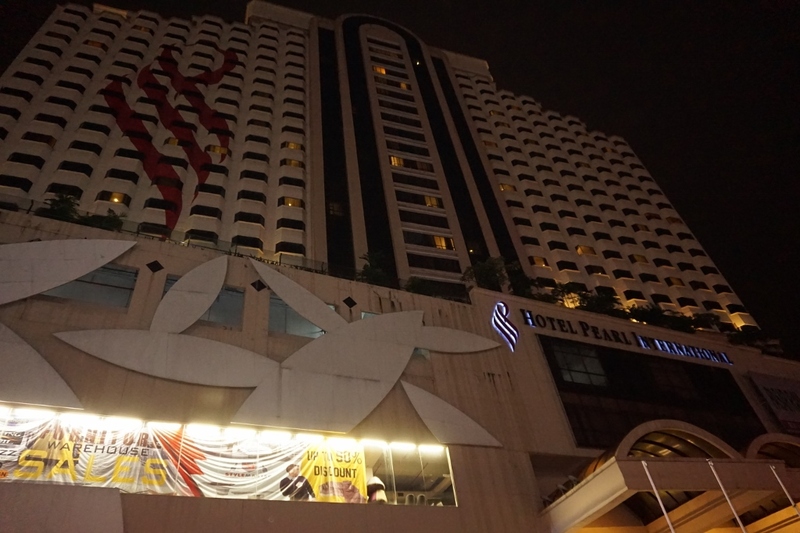 Our Pearl Studio Room is located at Level 18. 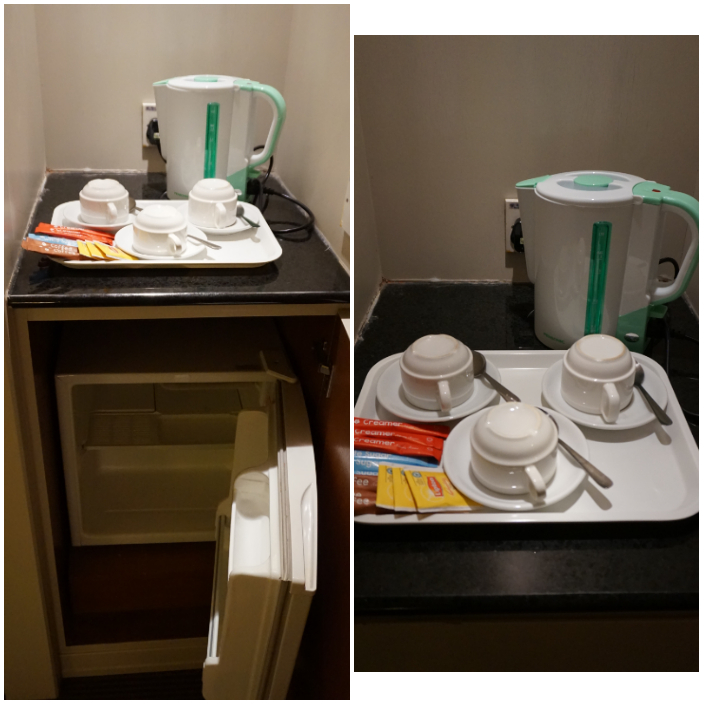 Basic coffee & tea making facilities & a Mini fridge in room. Sofa seats and provided with LED television, with selected Astro channels and local entertainment programmes. 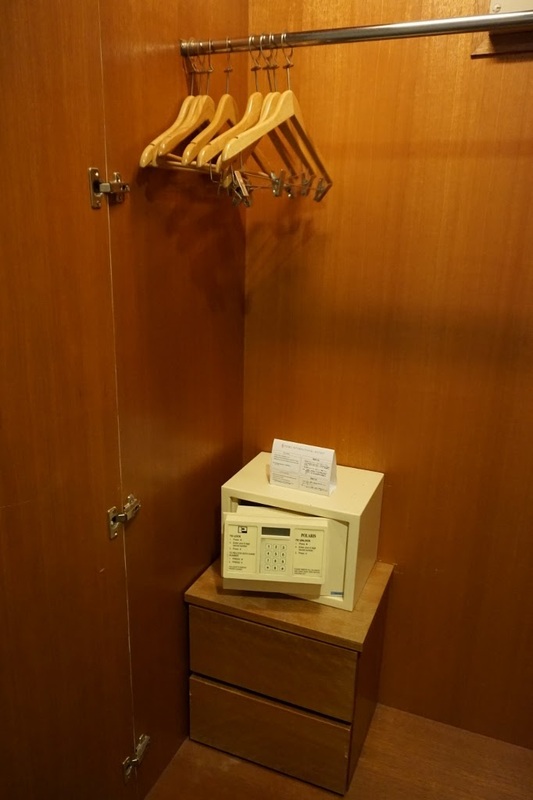 Computerized door-locking system and in-room Digital Safe. The kids are running here and there checking out the hotel space, but mummy is hungry by now waiting for our dinner to be served at Cafe 5. 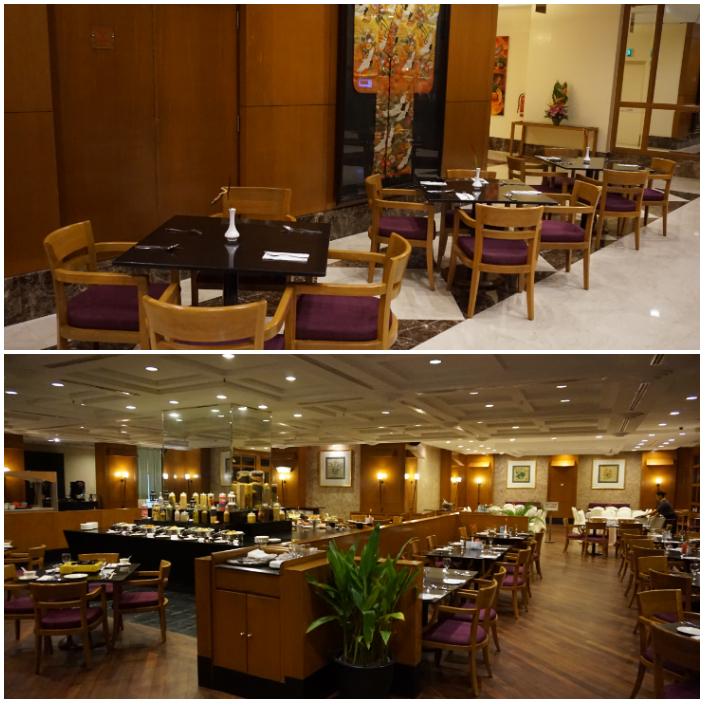 Cafe 5 is located on the 5th floor – a complete dining experience in a cosy ambiance that serves ala carte menu as well as buffet spread. 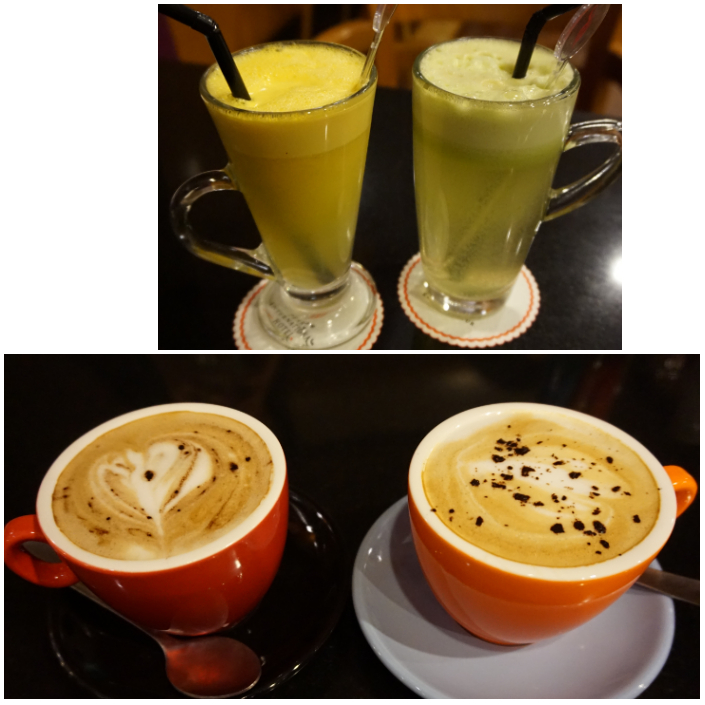 The only one coffee house in this hotel that cater for breakfast, high tea, and dinner. 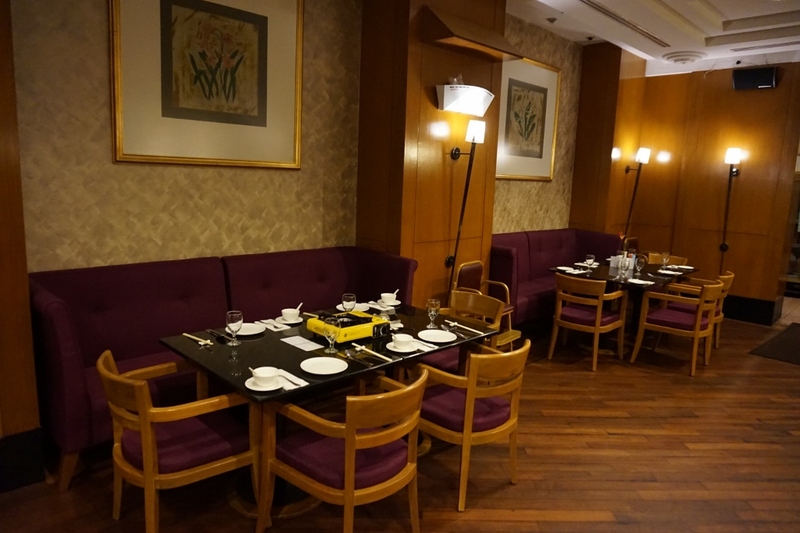 Pleasant dining environment that is clean, and surrounds with nice staff giving you an excellent service. Let's say cheese! Their cheerful faces and curiosity thinking where is this place and what they are going to do here. We ordered the soup to warm up our body first. 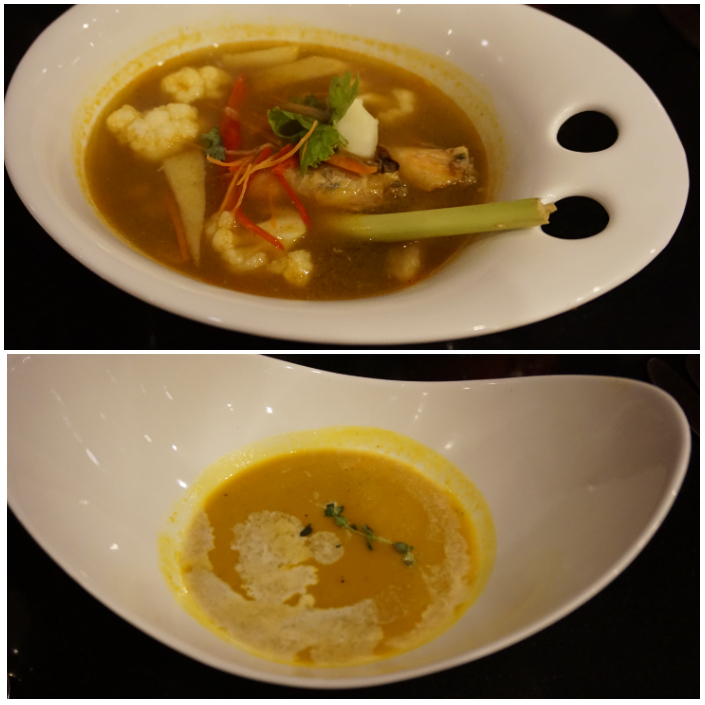 We try the hot and spicy Thai seafood soup - Tom Yam Goong and Pumpkin soup served with the garlic bread for the kids. Thumbs up for the pumpkin soup. The delicate taste of this creamy pumpkin soup makes it the perfect dish. 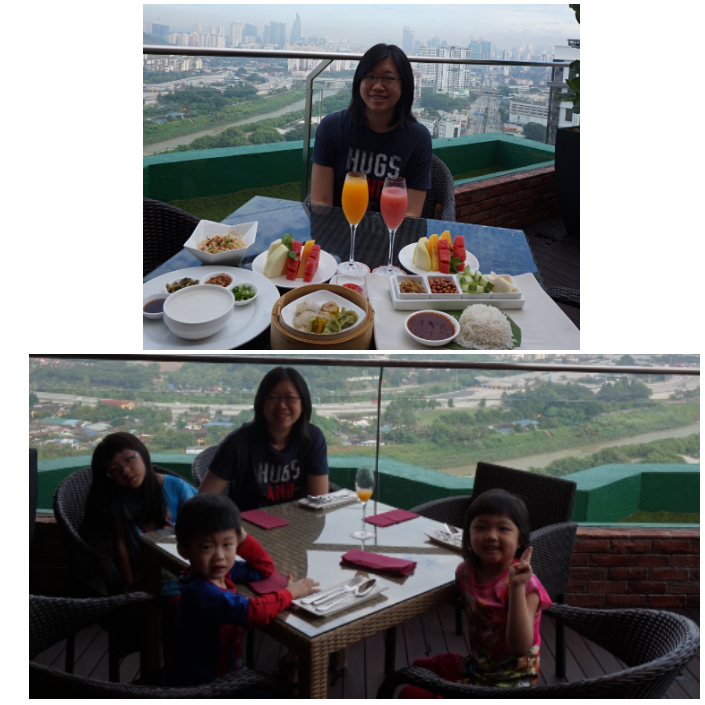 For every two main course ordered, we get a complimentary kids meal. 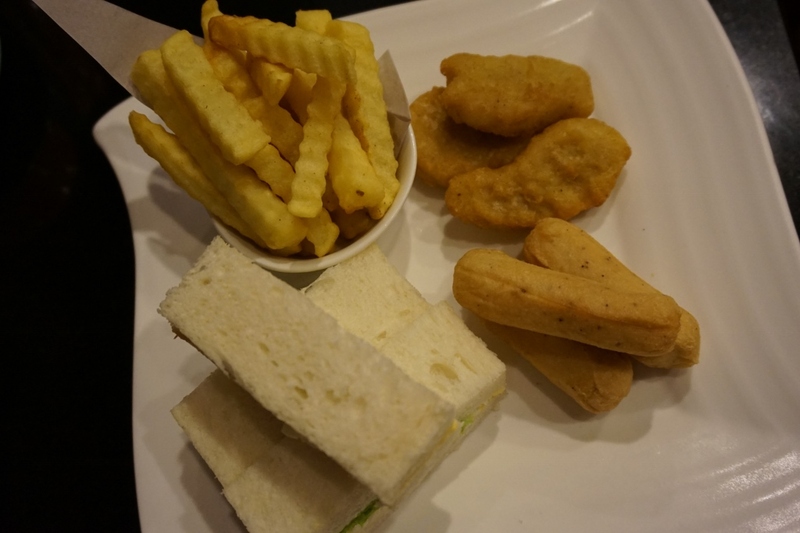 C5 Kids Platter is a great serving combination of kids favourite - Chicken Nuggets, french fries, chicken sausages and egg sandwich. 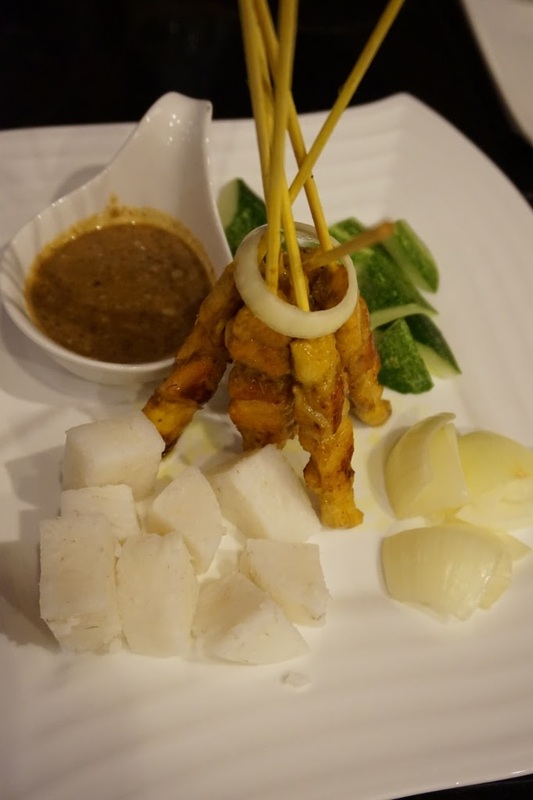 Malaysia Traditional Grilled Chicken Satay. Grilled lemongrass and turmeric-infused chicken on skewers served with traditional condiments of rice cubes, cucumbers, onions, and peanut sauce. Ikan Bakar Portuguese - This is my favourite especially on this rainy day. 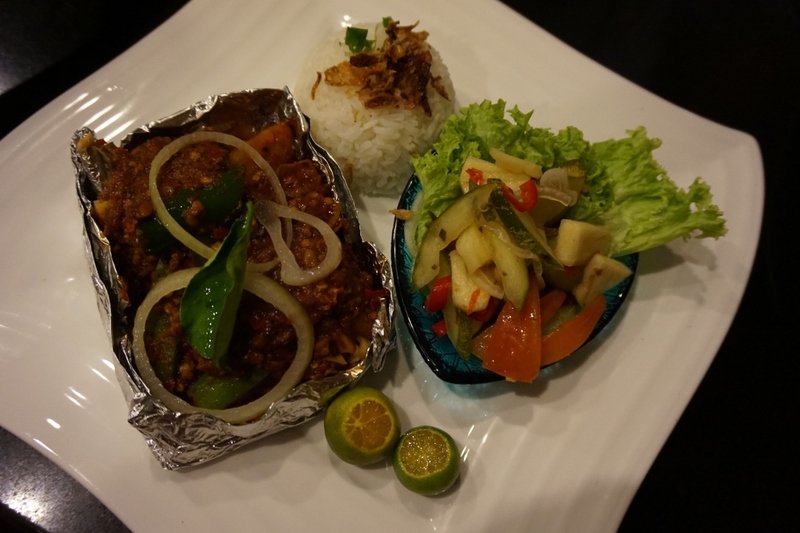 Beautifully presented with baked seabass in mild Portuguee chili paste served with steamed rice and sourish vegetables that's balance up with spice. 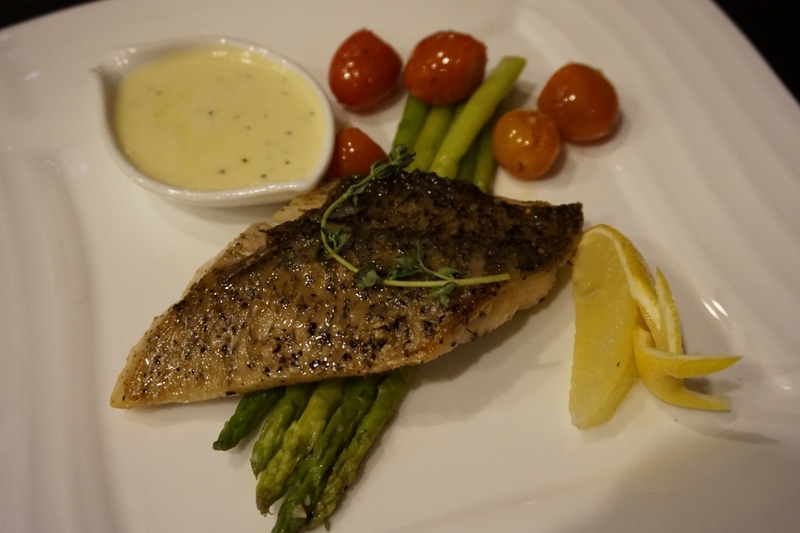 Squeeze the lime juice on the seabass. 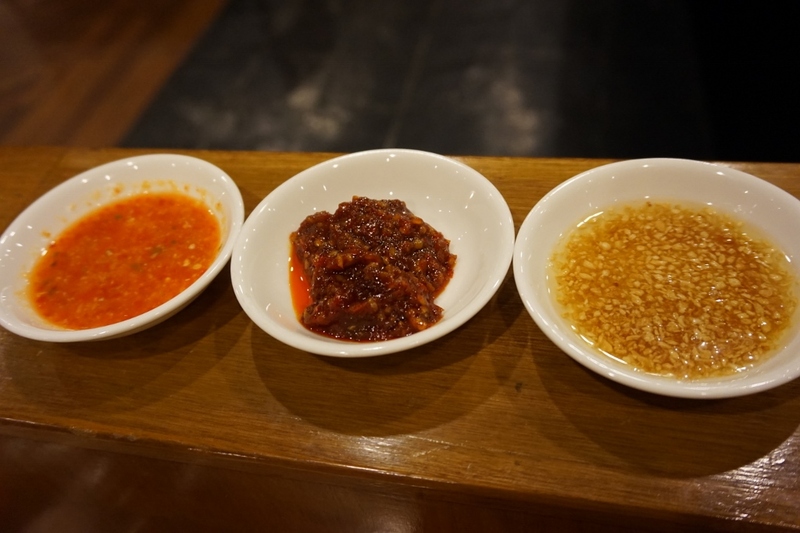 The chili paste taste so good and the seabass is perfectly cooked. 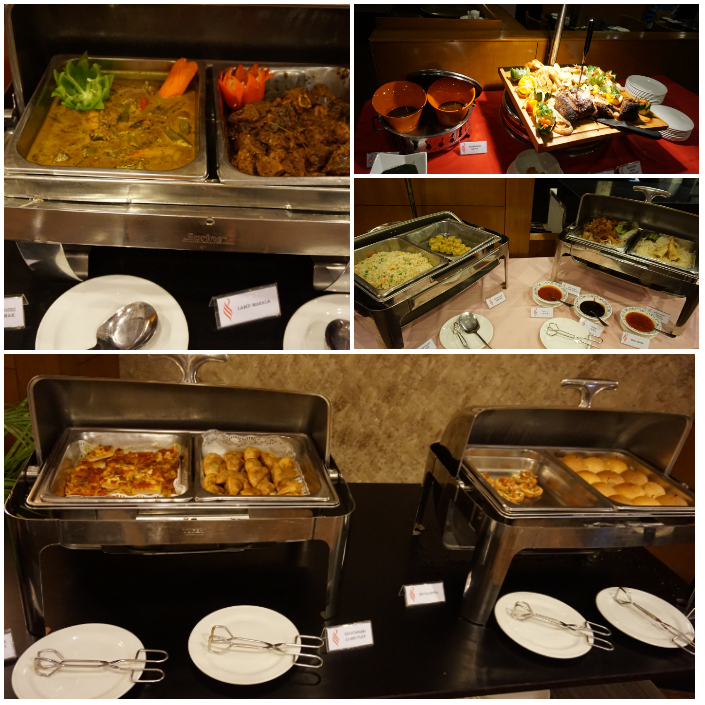 We have a round of tantalizing meal for our late dinner. Going up to level 23 to catch a glimpse of the magnificent night view. 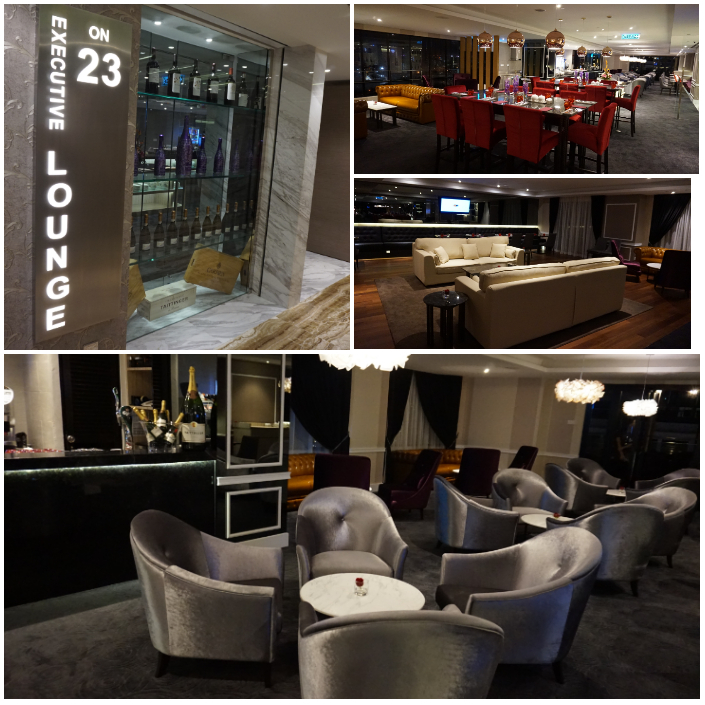 Executive Lounge on 23 is for Premier floor guest. Cocktails and finger food serving for guest in a modern, luxury and outstanding ambiance. We are just taking our short tour. Affable staff smiling to us and showing us around. 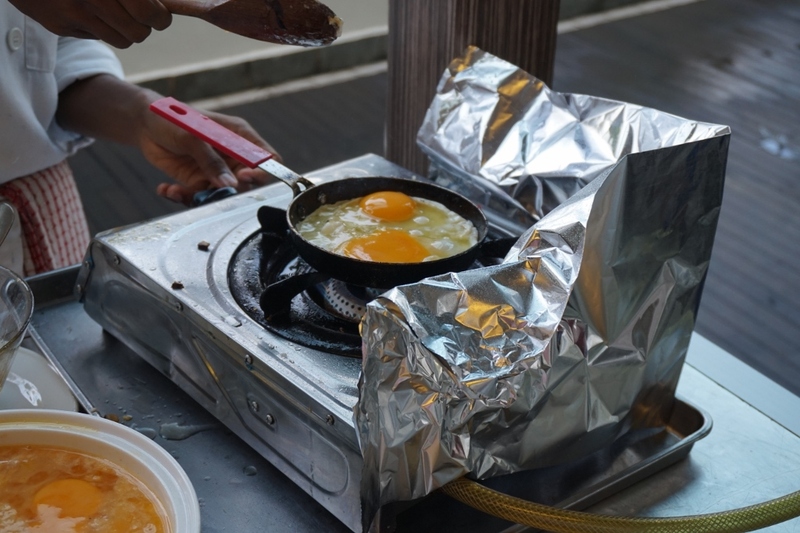 sugar in the cooking for the health-conscious. 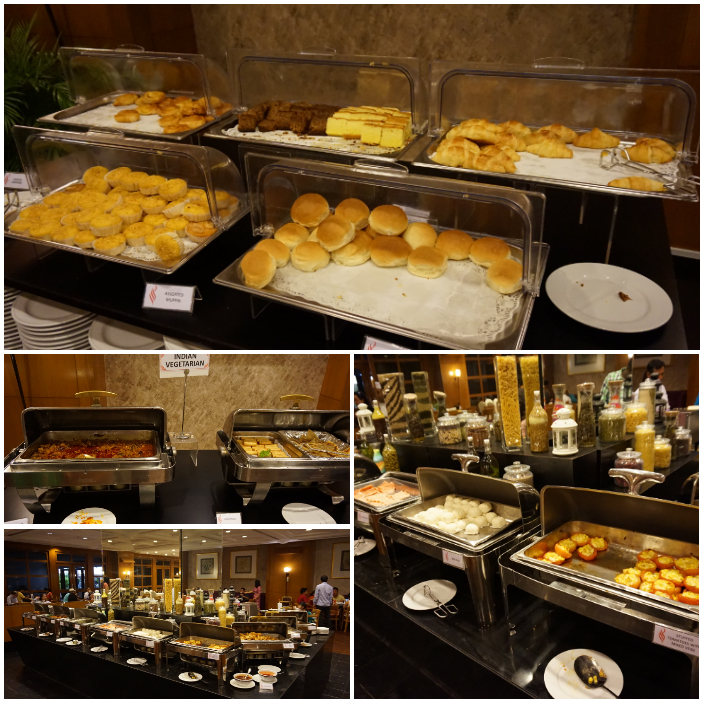 Delightful breakfast and it's time to change our attire to get ready to Sunway Lagoon. We are like a 'Tourist' for the day. Papa is happy because he no need to drive today! Yeah, we are going to sit inside this free shuttle van provided by the hotel. This is one added service that I find it very good. 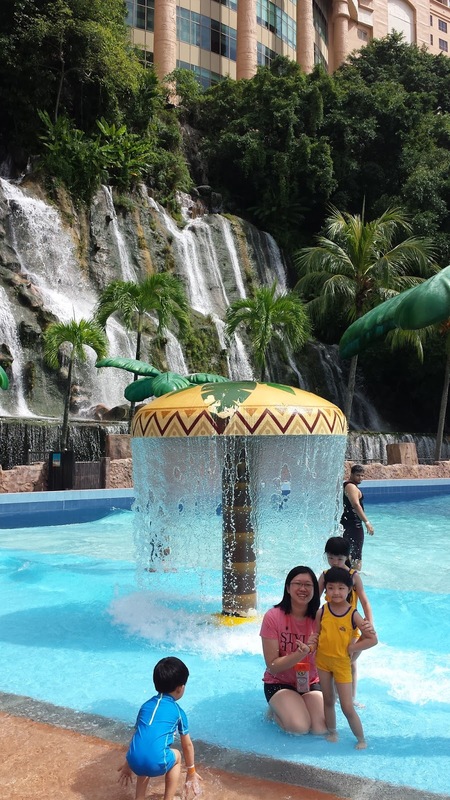 Just 15 minutes drive to Sunway Lagoon and they will also fetch you back to the hotel. So Excited! We are here as early as 10.20am! 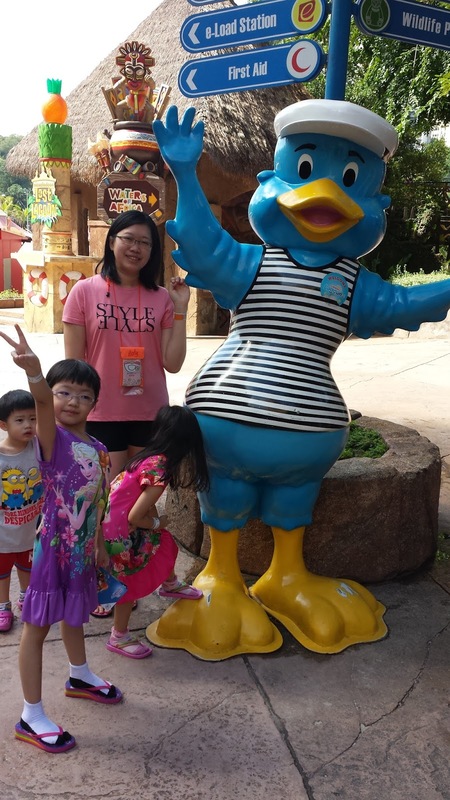 Picture first and we can start to explore all 6 parks inside Sunway Lagoon. They have Amusement Park, Scream Park, Water Park, Nickelodeon Lost Lagoon, Extreme Park and Wildlife Park. Of course the kids love the Water Park the most! Time to get wet! 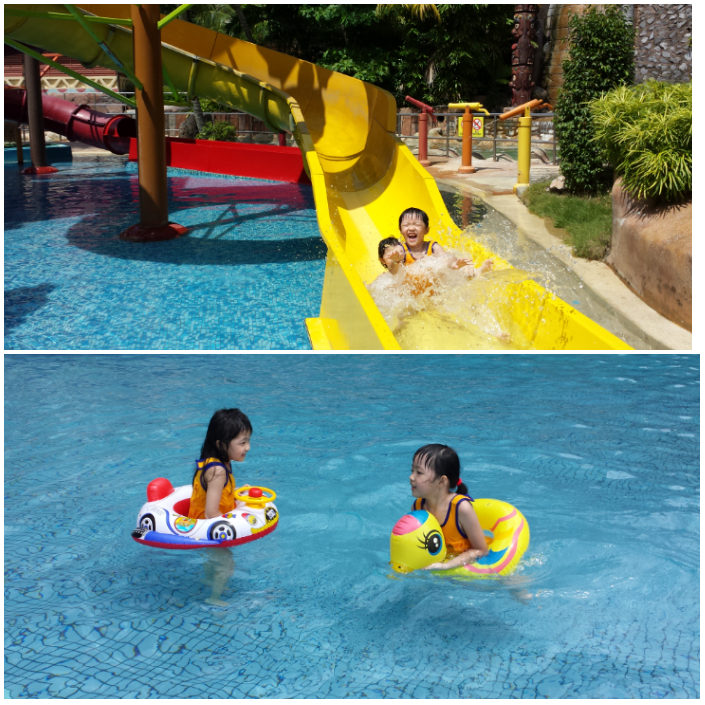 We have so much fun and the sunny weather is just great for swim. 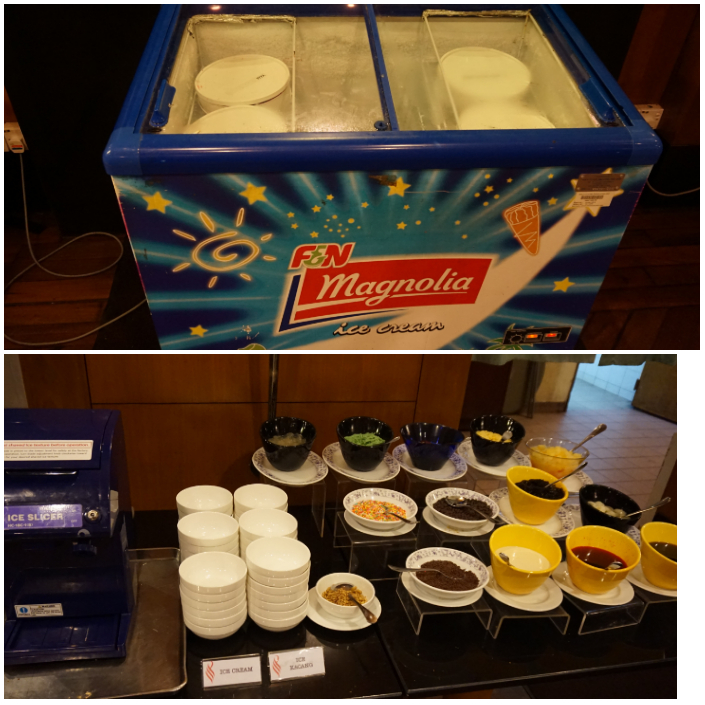 We are almost 4 hours inside and it's time to go back to the hotel and waiting to savour our steamboat semi buffet for dinner. Can't wait coz really hungry after so much of walking and swimming session. We are heading to Cafe 5 for a different dinner session. 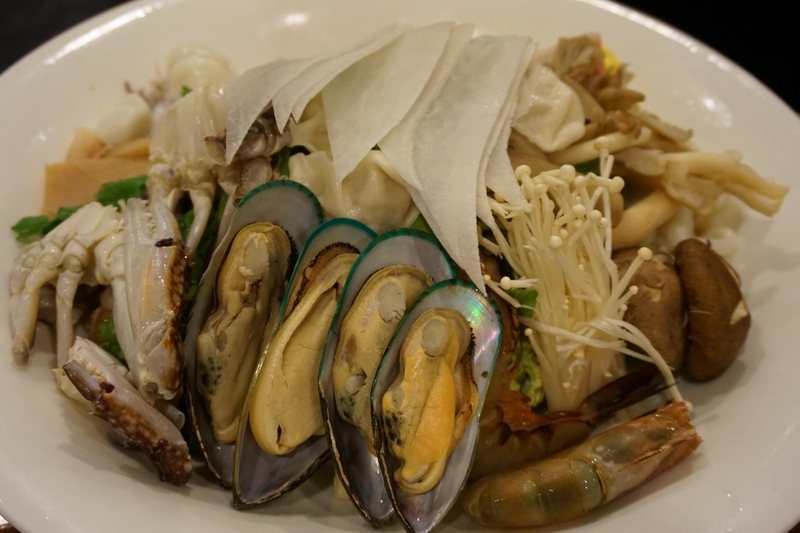 They introducing this valuable steamboat dinner that comes with semi buffet offering some side dish that will make your tummy full. 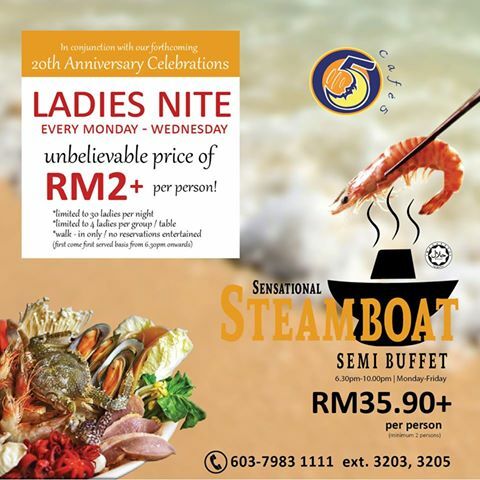 It's a good deal whereby very MONDAY, TUESDAY & WEDNESDAY, there will be Ladies Nite offer, just be the first 30 to 'walk-in' into Café 5 and you get to enjoy the 'Sensational Steamboat' semi buffet at RM2+ only! Promotion is strictly for Ladies (13-59 years) and a maximum of 4 ladies per booking is allowed. 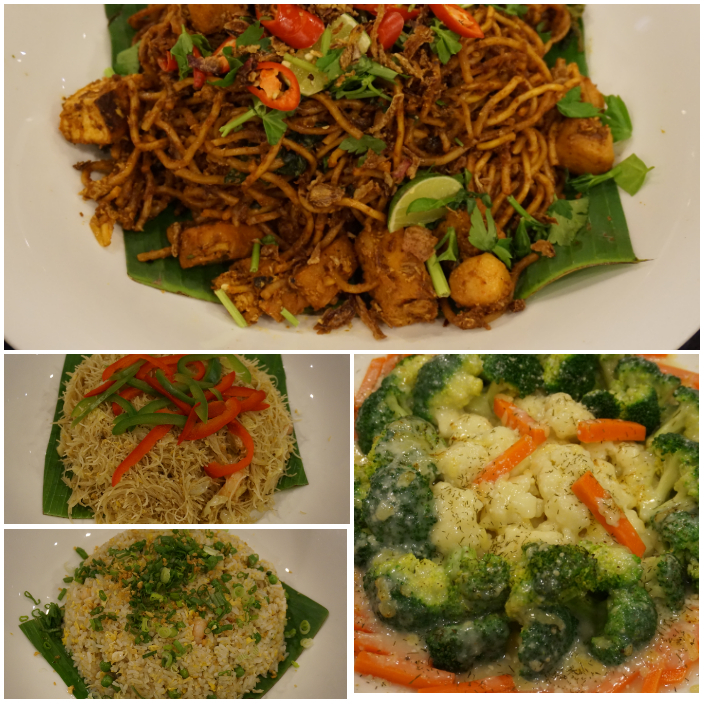 'Walk-in' begins from 6.30pm onwards .Senior Citizens & Children enjoy the promotion at RM18+ only throughout November. 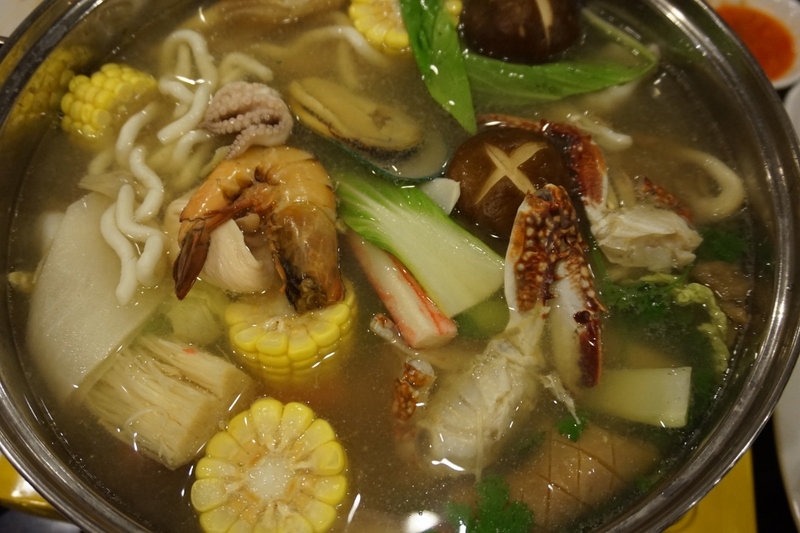 Steamboat set comes with fresh seafood - prawns, mussels, crabs, mushroom, dumplings, clams, crabsticks, smoked duck, eggs, mee hon, noodle, taufu, and etc. 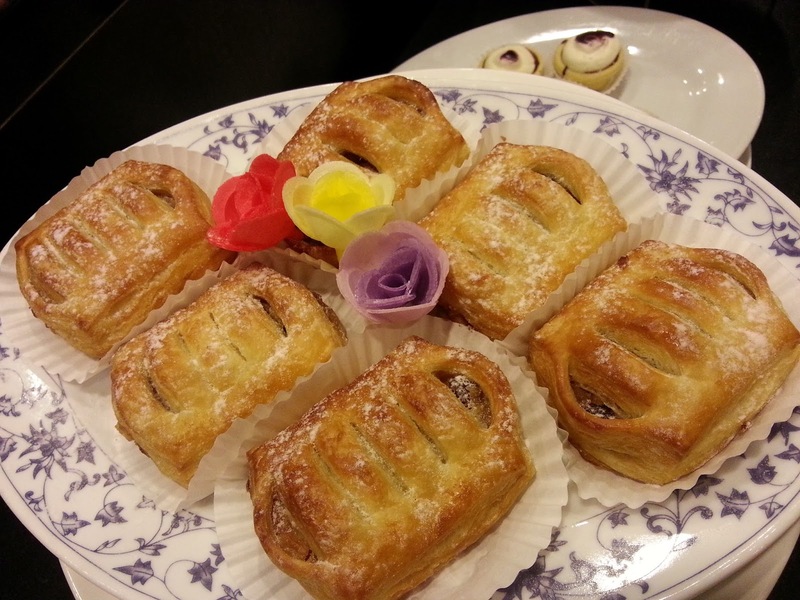 Array of delectable desserts which includes fresh pastries, fruits. 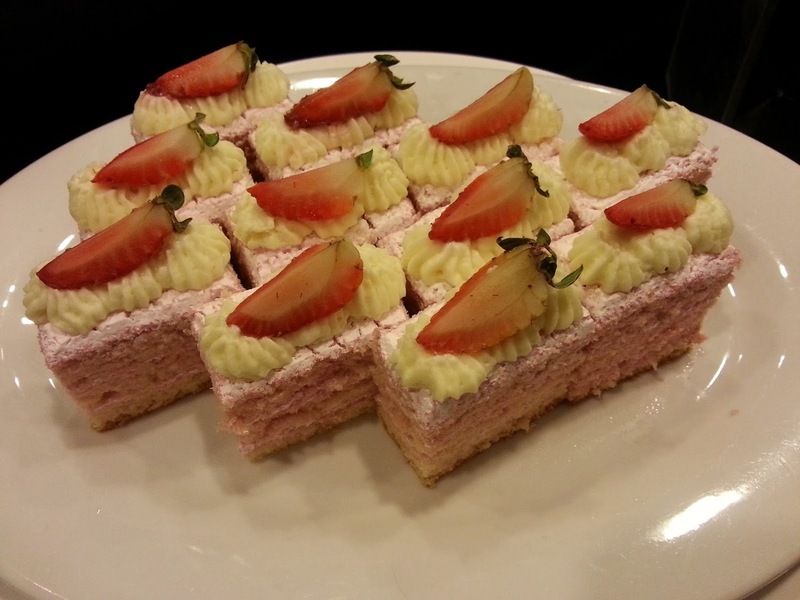 cakes, puddings,kuih, and other tempting desserts. Definitely a great dining experience and we are so full. 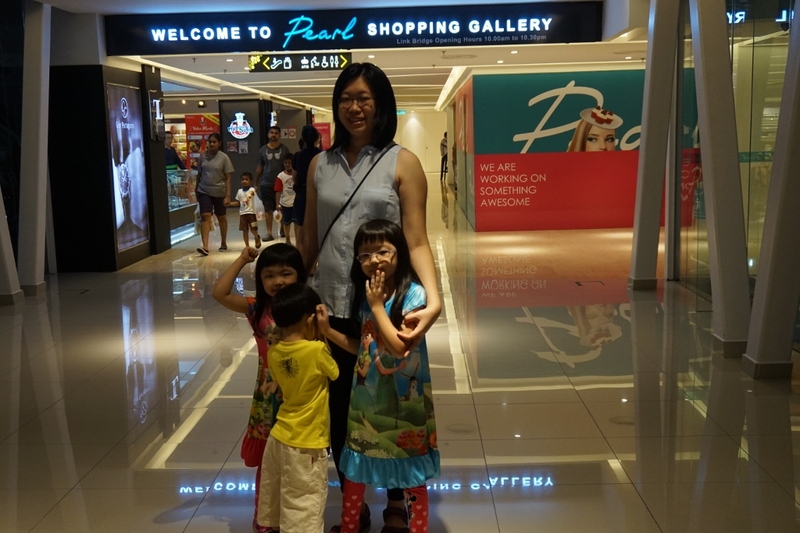 So let's go for a short walk to Pearl Shopping Gallery! This shopping mall is attached to the hotel itself. Just take the lift to ground floor, walk inside Pearl Point Shopping mall and take one level up to level 1. You will find this bridge (walk way) straight to the new Pearl Shopping Gallery. Bright and elegant deco. I love this place especially on their stunning Jaya Grocer Supermarket. You can just grab your stuff here- So convenient! 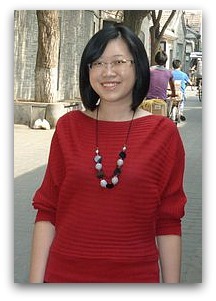 Not to forget some of the well known restaurant is here too such as Kyo Choon, Go Noodle House and etc. 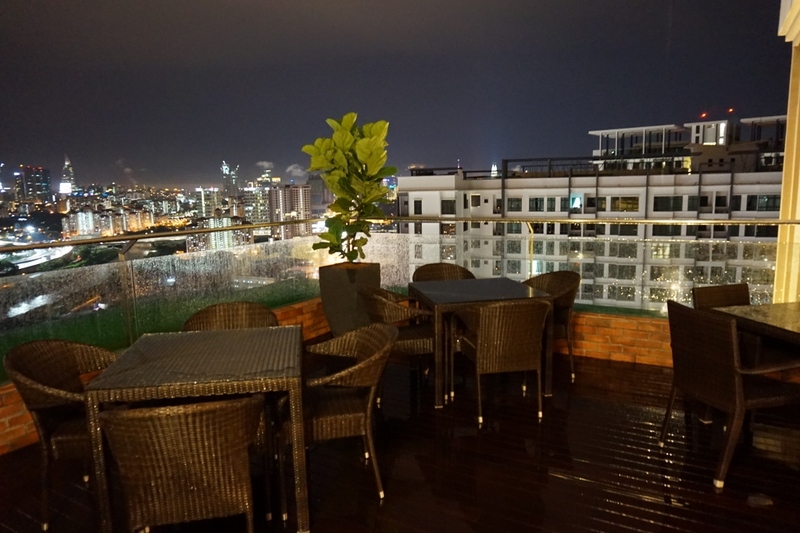 While walking, we also enjoy the night view here. 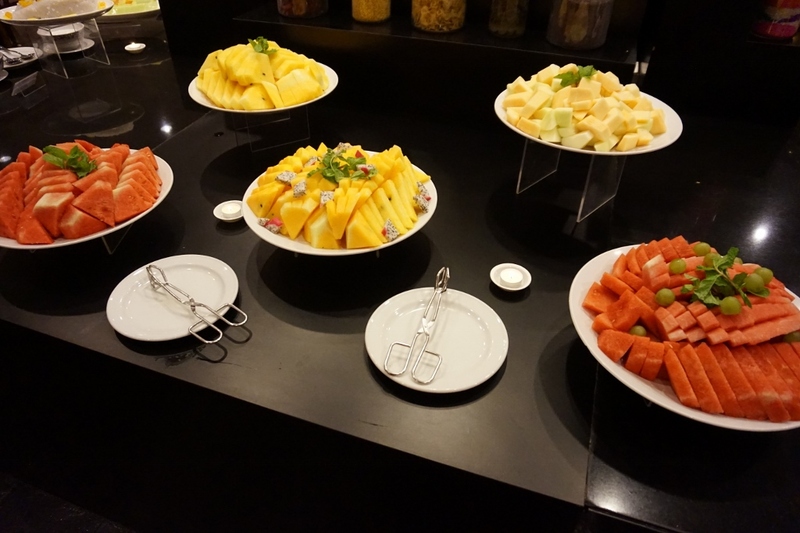 12 Nov 2016 - Breakfast @Executive Lounge on 23- Enjoy the Swimming -HIgh Tea Indulgence at Cafe 5 - Check Out. After a good night sleep, the kids are in a very good mood. 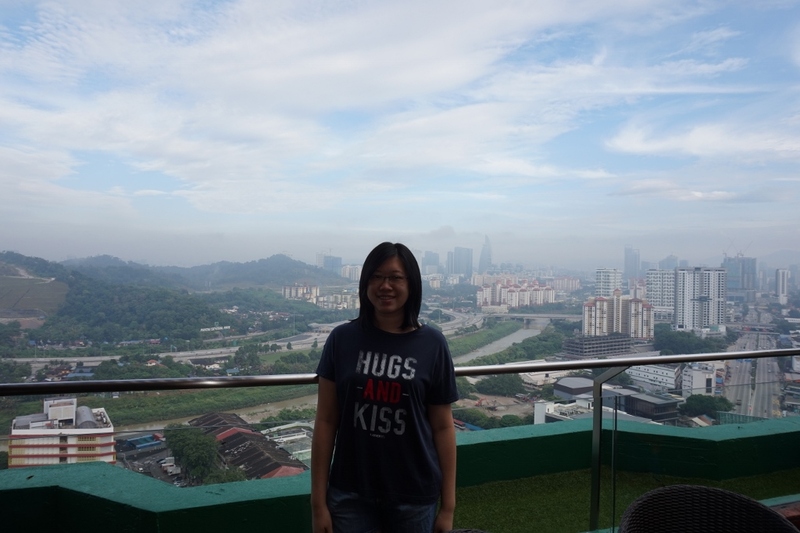 Woke up early and we are going to level 23 to have our exclusive breakfast with beautiful morning view. 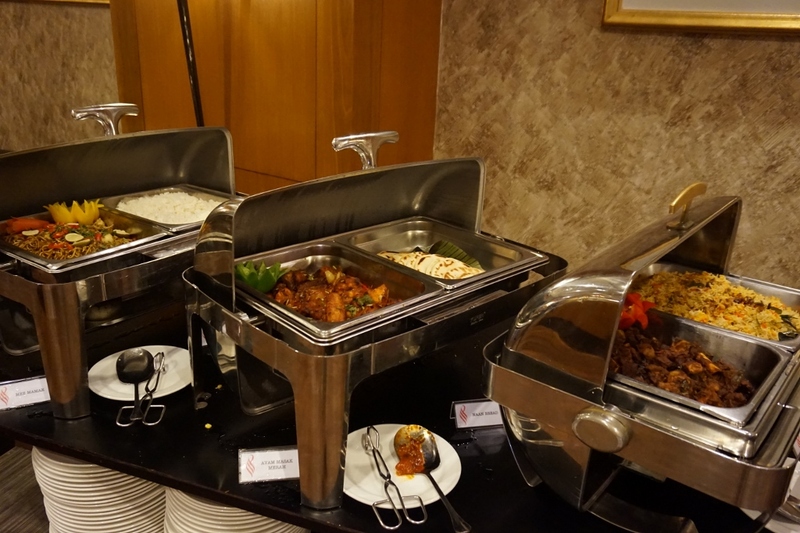 Executive Lounge on 23 is located at Level 23- quiet, calm and beautiful place to have breakfast. 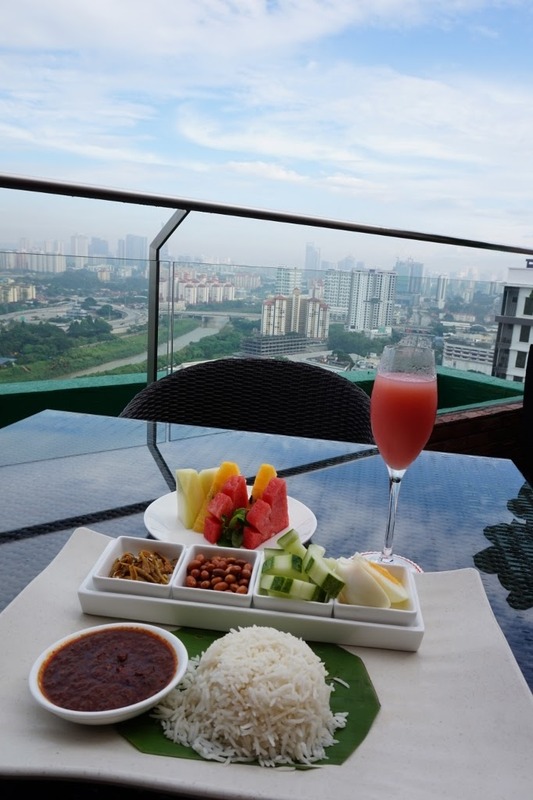 Nasi Lemak set with guava juice. Served with a platter of fresh fruits. 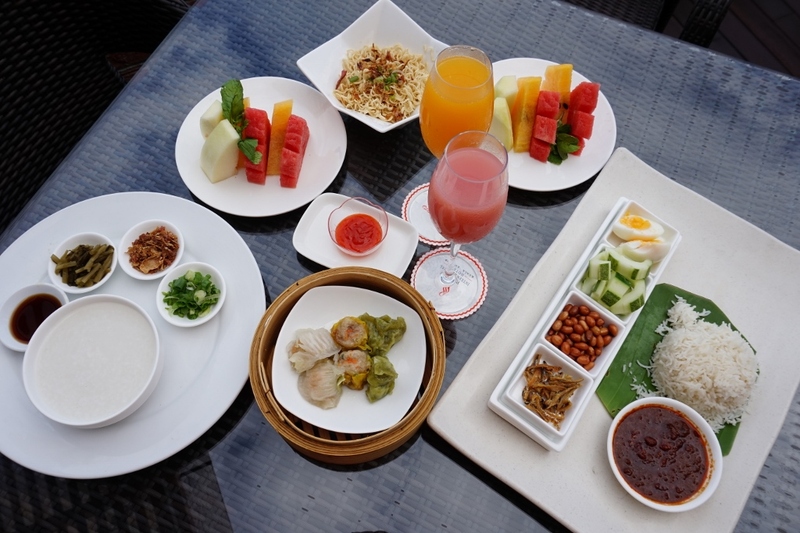 Another choice of Chinese set that comes with warm porridge, assorted dim sum, noodles, fruits and fresh orange juice. 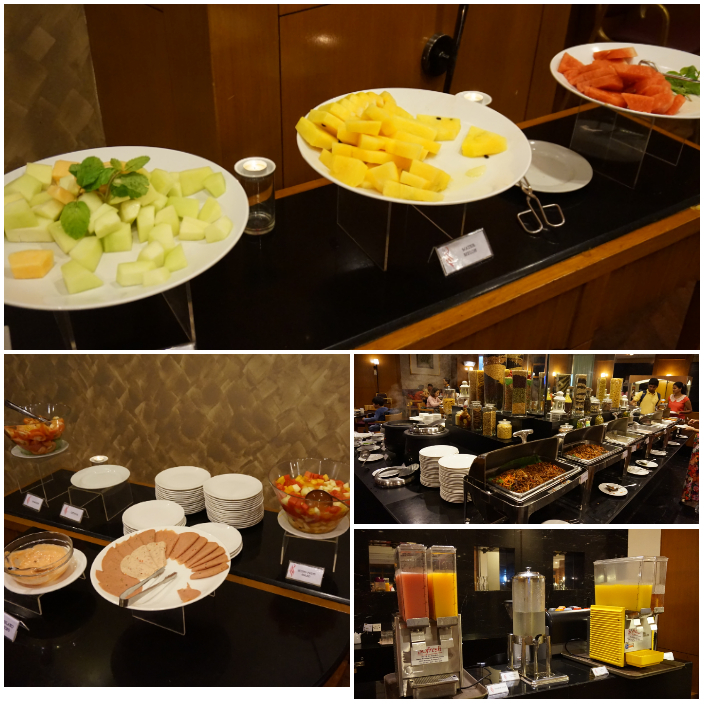 Pleasurable breakfast to kick start our day and it's time to relax to enjoy the facilities inside the hotel. Swimming time! 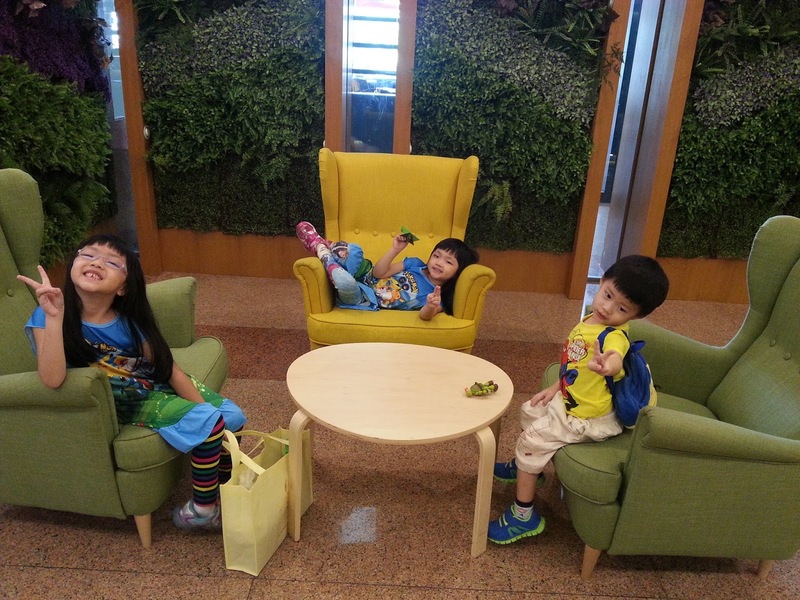 The kids are overjoyed and they want to have a longer session here. Splash with daddy while mummy and little boy sitting there relaxing enjoying the sunshine and morning breeze. 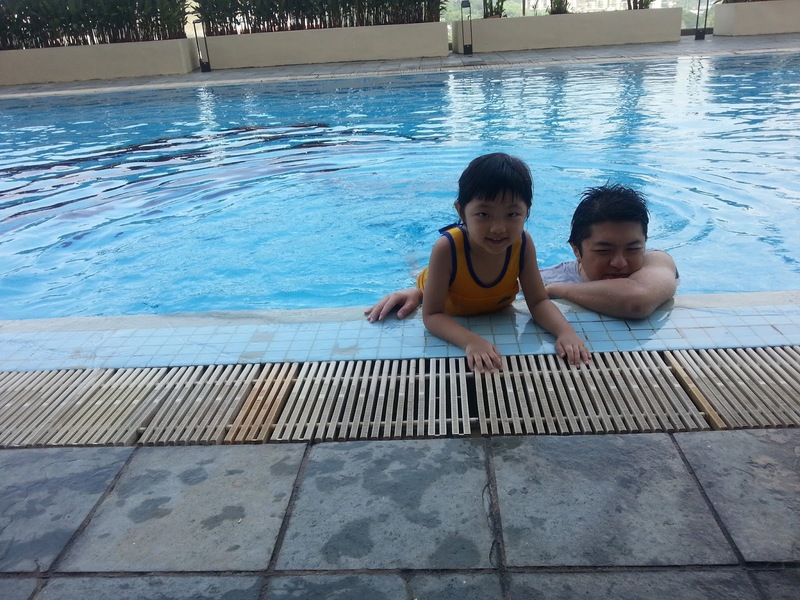 Kids learning how to swim with papa guidance. 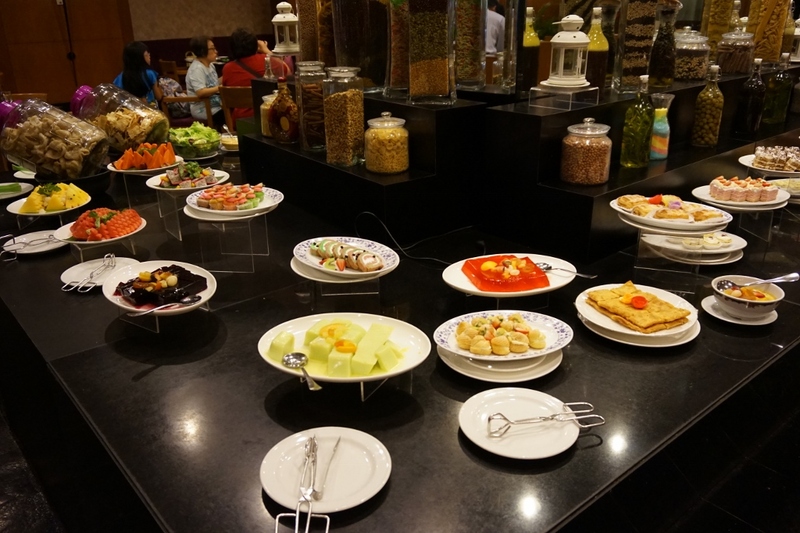 High tea session with lots of choices of food. 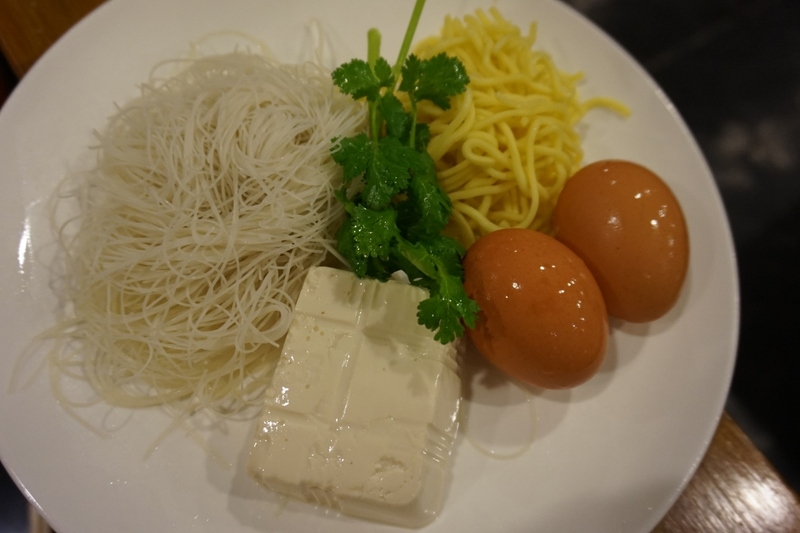 Selection of food that are balance up with meats and vegetables. 'International Weekend Hi-Tea' at Café 5 beckons those of you who love to spend your afternoons in leisure with family & friends. This surely the great deals for a weekend high tea especially when they offer a half price rate for senior citizen too. 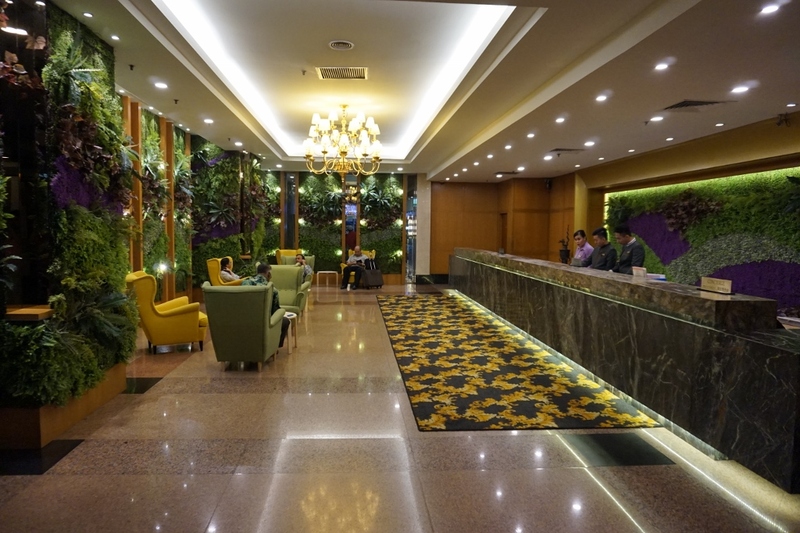 Spacious lobby view with friendly reception and they are very helpful. 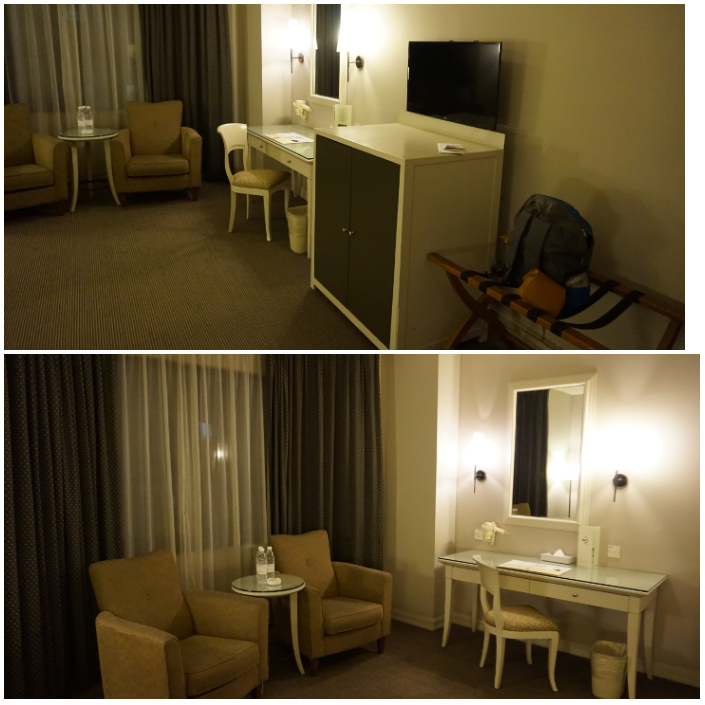 Info Sharing - Looking into this Cozy Premier Room that are located at Level 24. 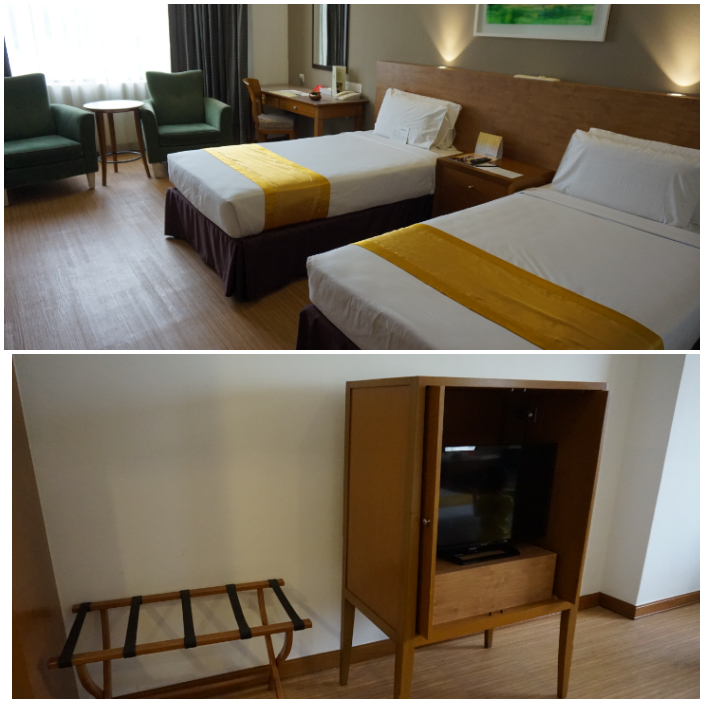 Pearl International Hotel has refurnished with new flooring, more spacious room and larger space for this superior room. 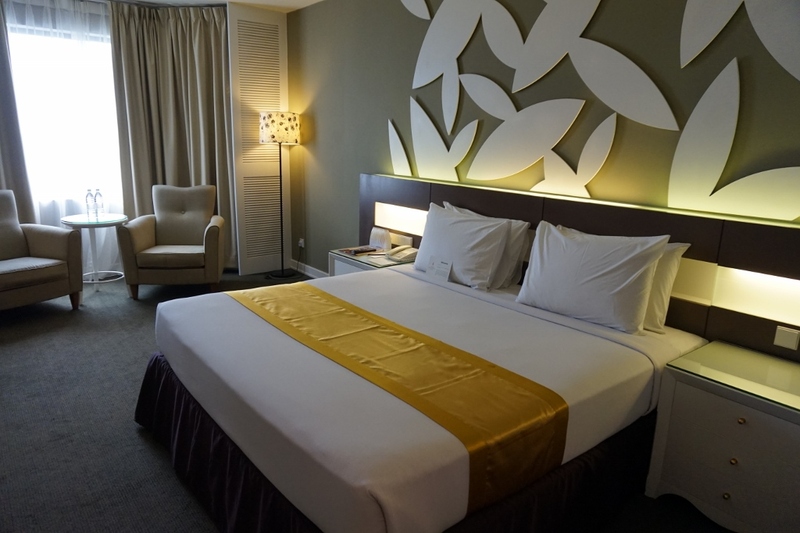 You can expect a nice layout and comfortable ambiance with their current progress of changing all the rooms. 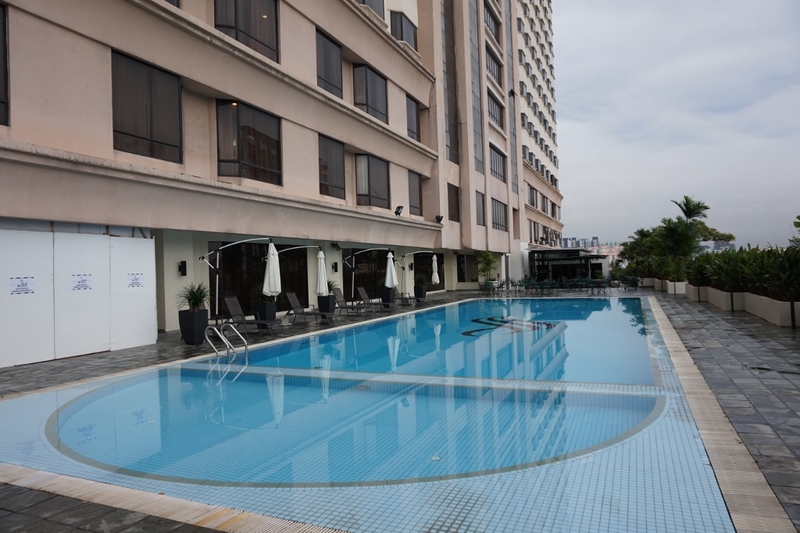 Pearl International Hotel is strategically located between Kuala Lumpur and Petaling Jaya. 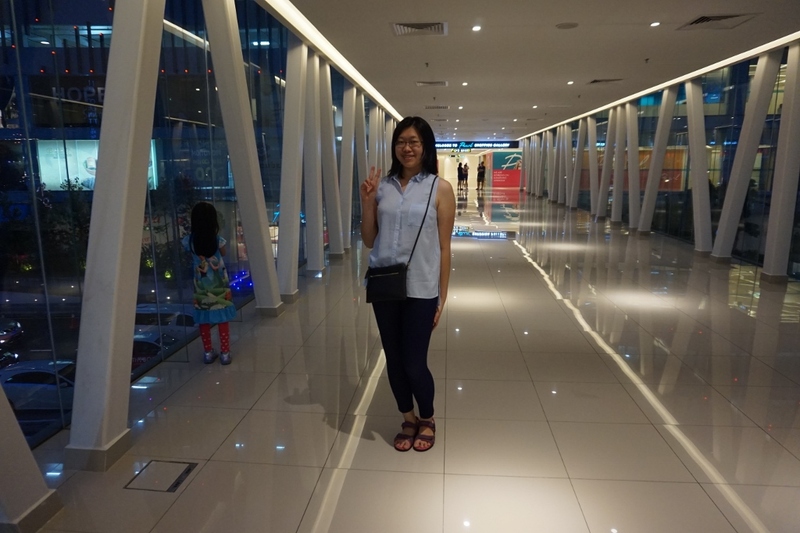 This place is convenient to go to the nearest shopping mall such as Midvalley and Sunway Pyramid. 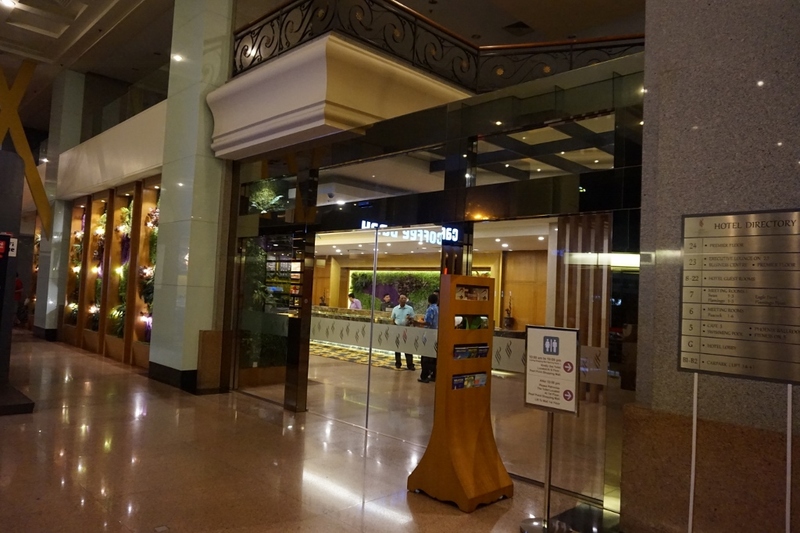 The hotel do provide free shuttle to these shopping mall as well as heading to KL Sentral area. 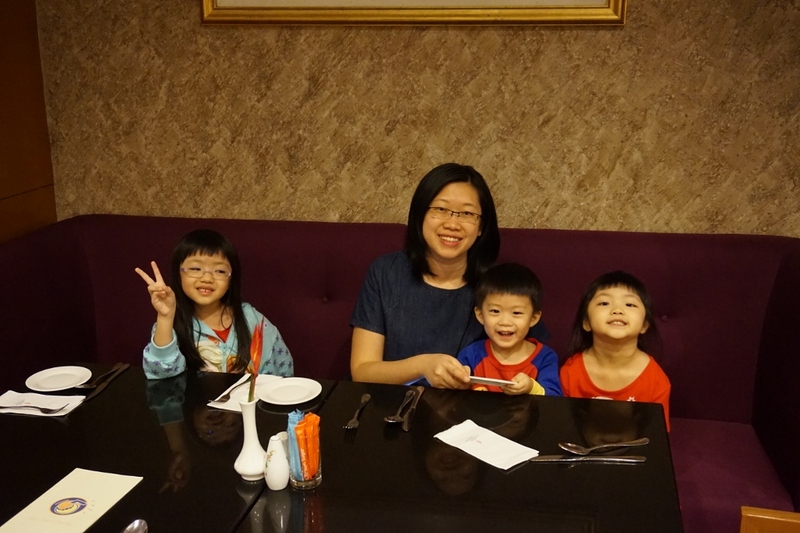 A memorable stay with my family during this staycation that brings so much laughter and fun for my children especially.They are extremely happy and keep telling me they like this place so much and wanted to come again! 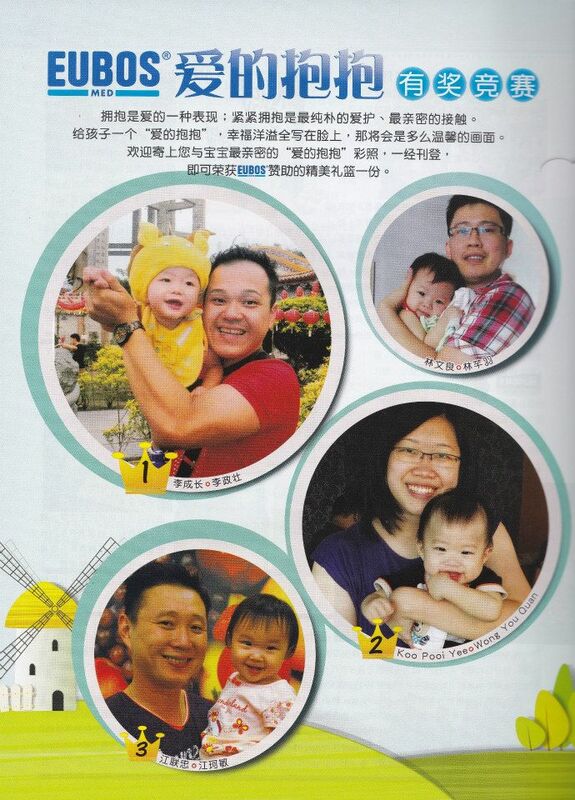 How I wish for another family relaxing gateway soon ya.